Michael Barone | American Enterprise Institute : It is a rare proposition on which liberals and conservatives agree: American history over the last hundred years has been a story of the growth of the size and powers of government. This growth has not been steady. Conservatives, with some bitterness, have embraced a theory of ratchets: in every generation, liberals succeed in ratcheting up the size of government and conservatives fail to significantly reduce it. Liberal historian Arthur Schlesinger Jr., argued for a similar theory of cycles: we have periods when liberals succeed in expanding government and then periods when conservatives resist further expansion but do not roll back previous growth. In Schlesinger’s view, each cycle of government growth begins with a major electoral victory for the Democratic party: Woodrow Wilson’s election in the three-way contest in 1912, the five consecutive victories of Franklin Roosevelt and Harry Truman from 1932 to 1948, the landslide for Lyndon Johnson in 1964, the victories of Bill Clinton in 1992 and Barack Obama in 2008. The elections cited by Schlesinger can be taken as endorsements by voters of government expansion, though not unambiguously; note that Franklin Roosevelt in 1932 called for reducing federal budget deficits, and Bill Clinton in 1992 called for ending “welfare as we know it.” But other elections can be taken as repudiations of big-government policies. 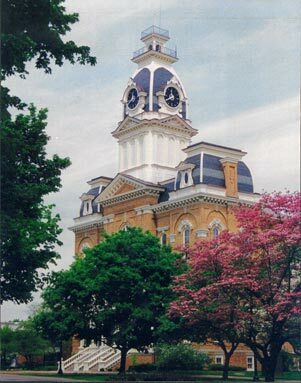 They include Warren G. Harding’s record-breaking winning percentage in 1920, the triumph of anti–New Deal Democrats and Republicans in 1938, the Republican congressional majorities elected in 1946, the significant Republican victories in 1966 and 1968, Ronald Reagan’s election in 1980, and the Republican congressional victories in 1994. What follows here is an examination of the consequences of those elections. How successful or unsuccessful were the efforts to reduce the size and scope of government? What implications do these episodes have for those who seek to reverse the recent growth in government spending as a percentage of the economy, which rose from the 20–21 percent level in the years from the 1960s to 2007 to 24–25 percent today? Get Michael Barone's new book. Arthur C. Brooks is president of the American Enterprise Institute. Rick Crawford: In the days and weeks following the horrific violence at Sandy Hook Elementary School in Newtown, Connecticut politicians and activists groups have called for new gun laws and restrictions for gun owners. It is unfortunate that some would try to exploit this tragedy. When I was sworn in to represent Arkansas’s First Congressional District in the House of Representatives, I took an oath to uphold the Second Amendment rights of law-abiding citizens. The federal government should not compromise the ability of decent Americans to own a gun for protection or sport. 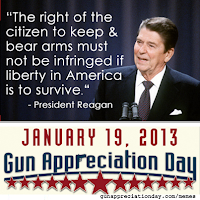 This week, the Obama Administration has indicated their willingness to use executive privilege to tighten gun laws. Instead of seeking to limit Constitutional rights, I am pushing for a thoughtful conversation about the steps that can be taken to protect our children. We must look at ways to improve identification, diagnosis, and treatment for people living with serious mental illnesses. There must be a national dialogue about the amount of violence that our children see in movies and video games and on television and the internet. We need to talk to gun owners about the importance of storing their firearms in secure and safe locations. As a father of two young children, school safety is a major concern for my family. In Northeast Arkansas, we are all too aware of the reality of school shootings after the tragedy at Westside Elementary in Jonesboro in 1998. My thoughts and prayers continue to be with the families who lost their loved ones so close to the Christmas season. 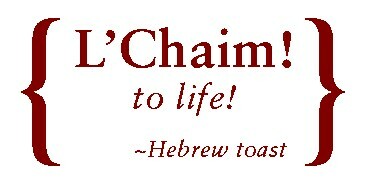 I hope you will join me in praying for the victims’ families so they might find peace after this shocking tragedy. Rick Crawford represents Arkansas’s First Congressional District in the United States House of Representatives. 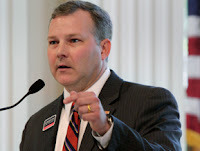 Crawford serves on the Agriculture Committee and the Transportation and Infrastructure Committee. He and his family live in Jonesboro, Arkansas. Tags: 2nd Amendment, gun control, school shooting, Newtown, Connecticut, Jonesboro, Arkansas, Representative, Rick Crawfors, 1st Congressional District To share or post to your site, click on "Post Link". Please mention / link to the ARRA News Service. Thanks! Unfortunately, videos on forums like the following were not introduced early enough to make a difference in the November election. However, it is ever too late for people to be educated on issues to affect us and our responses to big government and politicians. Tags: international debt crisis, debt crisis, forum, panel, Hillsdale College To share or post to your site, click on "Post Link". Please mention / link to the ARRA News Service. Thanks! 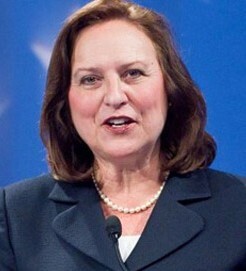 “Hello, I’m Deb Fischer and I’m proud to represent the state of Nebraska in the United States Senate. “For the past year and a half, I’ve traveled thousands of miles all across Nebraska visiting with community leaders and citizens to learn about their views and share my positions on issues. During that time, I’ve heard a single, consistent message over and over again: Washington must cut out-of-control spending. “I agree and the American people are right to expect more accountability from their government. “I recently saw a poll indicating three out of four Americans support spending cuts across the board. These hardworking taxpayers are tired of petty ‘beltway battles’ and they’re frustrated with the lack of progress from their elected leaders. In 2009, the President pledged to cut the annual deficit in half by the end of his first term. Instead, we have seen four straight years of trillion-dollar deficits and a national debt exceeding $16 trillion. “Rather than cutting wasteful spending, the federal government added $4 billion each day to our gross national debt. This path is not sustainable. I support a more limited government that focuses on fulfilling its core duties and responsibilities. Only then can we identify the national priorities worthy of taxpayer funding. “The Constitution clearly states that the top priority for Congress is to ‘provide for the common defense.’ Despite this core duty, nearly a trillion dollars in critical national security funding is slated to be dangerously cut from the defense budget over the next decade—all because some leaders in Washington can’t get their priorities straight. “As a member of the Senate Armed Services Committee, I’m 100 percent committed to both reducing spending and meeting my constitutional obligation to defend this nation. It is equally important to uphold America’s promises to active duty service members and veterans, those who have risked life-and-limb in defense of our nation. Keeping faith with these brave Americans is more than our responsibility; it is our honor to do so. “It’s no secret that to cut spending, we must find ways to reduce the costs of Social Security, Medicare, and Medicaid—the primary drivers of our national debt. We must do so in a way that keeps our promises to America’s seniors, retirees, and those nearing retirement age. That is not a point for debate. But in order to save these popular programs, we must reform them. If not, they will no longer exist for future generations and will bankrupt us in the meantime. “There is a general consensus that Congress must explore ways to act on entitlements, but there is little agreement on a way forward—and few credible solutions have been put on the table. As the 113th Congress begins, I challenge my colleagues to step off the sidelines and offer substantive ideas for real reform. “Such reforms will require political courage and will demand strong leadership from the President and leaders of Congress. But without making these hard decisions, America will never rein in spending or achieve a balanced budget. “The President will soon ask Congress to raise the nation’s debt limit—again. I believe we cannot agree to increase the borrowing limit without addressing our out-of-control spending. That’s why Nebraskans sent me here. That’s what the American people demand. And that’s what our children and our grandchildren deserve. “It’s time for serious action. No more kicking the can down the road. No more using the threat of middle class tax hikes to force last minute deal-making. The debate over taxes and revenues is done. Tax increases barely pay for a few days of government spending and in all my years of public service, I have never had constituents ask me to raise their taxes. The problem is not that the American people are taxed too little; it’s that the federal government spends too much. “While I may be new to Washington, I’m no stranger to making tough choices. I’m honored to serve the people of Nebraska, and I stand ready to work with the President and any of my colleagues—Republican or Democrat—to tighten Washington’s belt and cut the spending. Our economy and our nation’s future depend on it. “Together, we can build a better America. Tags: U.S., Senator, Deb Fischer, out of control spending, federal spending, Republican address To share or post to your site, click on "Post Link". Please mention / link to the ARRA News Service. Thanks! WASHINGTON, DC -- U.S. Senate Republican Leader Mitch McConnell released the following statement regarding a letter from the Senate Democrat leadership to the President on the debt ceiling, and Washington’s out-of-control spending:“The Democrat leadership hiding under their desks and hoping the President will find a way around the law on the nation’s maxed-out credit card is not only the height of irresponsibility, but also a guarantee that our national debt crisis will only get worse. “With the President asking Congress to raise the debt ceiling, Democrats in Washington are falling all over themselves in an effort to do anything they can to get around the law—and to avoid taking any responsibility for Washington’s out-of-control spending. Rather than offering any plan to break the spending habit that’s causing the problem, Democrats are looking at everything from the ridiculous (printing a trillion-dollar coin) to outright abdication of Congressional responsibility. But avoiding this problem will only make it worse, which is why many of us view the upcoming debt limit debate as a perfect opportunity to face up to Washington’s spending"
Tags: President Obama, debt limit, Democrats, height of irresponsibility, To share or post to your site, click on "Post Link". Please mention / link to the ARRA News Service. Thanks! Big Albert does it again. Albert Arnold (Al) Gore has proven to be scam artist on beyond belief. And he continues to get away with it. Selling his cable station, Current TV, to Qatar’s Al Jazeera, a supportive of Muslim radical terrorists, for an reported $100 million evidences a new debt to his despicable character. Gore said he "sold the network to Al Jazeera for ideological reasons. . . . In a publicized internal memo announcing the sale . . . they sold Current TV to Al Jazeera, because “Al Jazeera was founded with the same goals we had for Current: . . "
And he didn't even assure his employees would be protected in the sale. His prior Global Warming scam garnered him jointly held Nobel Peace Prize in 1997 -- he had to share it with the Intergovernmental Panel on Climate Change (IPCC). Gore said at the time that he would donate his share of the $1.5 million that accompanies the prize to the non-profit Alliance for Climate Protection. Thank providence, Al Gore never became president. 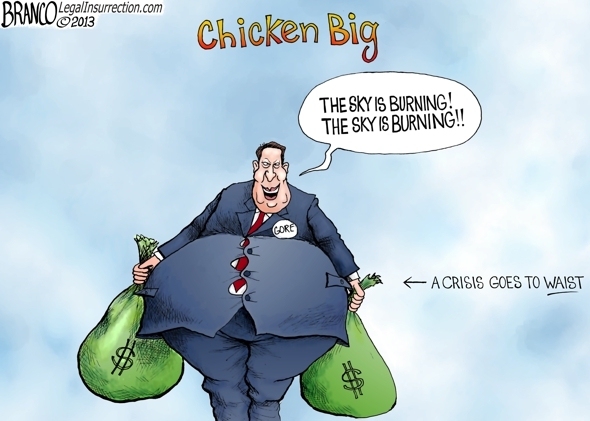 Tags: Al Gore, political cartoon, AF Branco, editorial cartoon To share or post to your site, click on "Post Link". Please mention / link to the ARRA News Service. Thanks! 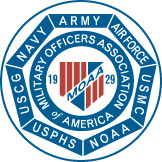 Military Officers of America (MOAA): The New Year’s Eve “fiscal cliff” scare might have passed, but any relief will be brief. 1. Sometime in February: the president will send Congress his FY 2014 budget submission — we don’t know what to expect, but it could include proposals for significant new troop, pay, and benefit cutbacks. 2. Late February: the country is expected to hit the statutory ceiling on the size of the national debt. Many in Congress adamantly oppose an increase, but absent a deal to raise it, America would default on its debts; the last time Congress had a debt ceiling fight, America’s credit rating was downgraded, which tightened credit limits for individuals and companies. Any deal almost certainly will require more spending (including defense) cuts. 3. March 1: Sequestration (a $1 trillion, 10-year, across-the-board budget-cut) will go into effect unless Congress adopts an alternative for spending cuts/revenue increases. DoD would be required to absorb $41 billion in cuts before the end of October (a devastating cut in so short a time) and $450 billion more over the next 9 years. 4. March 27: The continuing resolution under which the federal government now is operating expires. Without an extension, the government will shut down. Here again, many legislators are talking about accepting a shutdown unless major spending cuts occur. Any one of these problems would be a challenge for our rancorous Congress to address, but combine all four events converging in such a small amount of time, and it greatly increases the likelihood Congress and the administration will fail to reach agreements to successfully navigate all of these major pitfalls. The consequences could be dire. Default on our debt, a government shutdown, or massive and immediate defense spending cuts could have a prolonged and negative effect — not just for currently serving and retired servicemembers and federal civilians — but also for America as a whole. We have a seriously stormy few months coming before we learn whether increasingly fierce partisan acrimony can be overcome in the national interest or whether the divide is so severe our elected officials actually find “shooting the hostage” preferable to negotiating compromise solutions. Tags: military, crisis on horizon, funding, sequestration, pay, benefits, MOAA, To share or post to your site, click on "Post Link". Please mention / link to the ARRA News Service. Thanks! by Bill Wilson: For much of its 236-year history, the federal government has accumulated new power by whittling away at the essential protections afforded to American citizens under the U.S. Constitution. In recent years this wholesale abandonment of our founding principles has rapidly gained momentum — accompanied by a skyrocketing government debt that now eclipses our nation’s annual gross domestic product. No truer words have ever been spoken — yet in the last half-decade this nation has witnessed a stunning (and astronomically expensive) escalation of neo-fascism in America. And no political party, court nor ideological movement has proven able to blunt its building momentum. During the debate over “Obamacare” — a massive, budget-busting entitlement funded with money our country doesn’t have — former New Jersey Judge Andrew Napolitano pointedly challenged then-U.S. Majority Whip Jim Clyburn (D-S.C.) regarding the constitutionality of this socialized medicine monstrosity. “There’s nothing in the Constitution that says the federal government has anything to do with most of the stuff we do,” he said. Therein lies the root of our problem. The overt contempt for our Constitution displayed by Clyburn and other elected officials is precisely why government has become so unruly, so fiscally unsustainable and so dangerous. 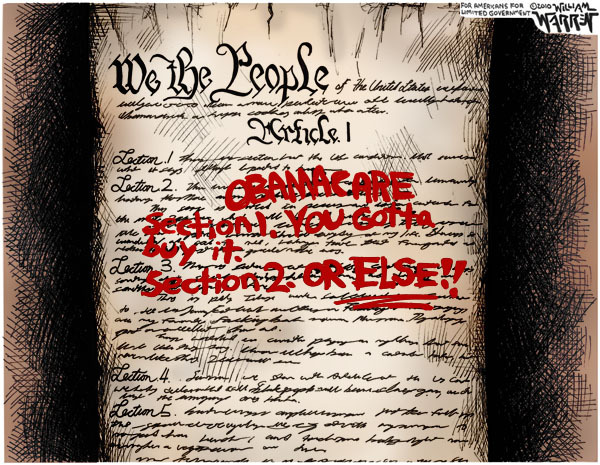 Tragically for our Republic, the U.S. Supreme Court empowered this view in its Obamacare ruling — inventing a new taxing authority to accommodate this abomination rather than following the law and protecting our liberties. Decades of legislative overreach, executive power grabs and judicial activism have steadily diminished our freedom and free markets — a disintegration which may have already reached the point of terminal velocity. Our nation now prints unlimited piles of money with no congressional oversight. It taps our phones and emails with no probable cause. It compels us to purchase products or face stiff fines. 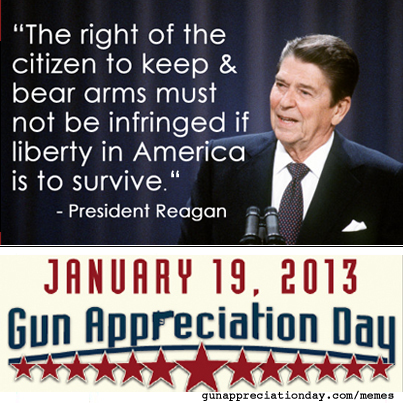 And now it wants to strip us of our right to keep and bear arms. Yet even these egregious incursions are not enough for some members of the professional left. These assertions are demonstrably illogical. Arguing one’s freedom would improve by allowing government to tighten its grip is like arguing one’s breathing would improve by allowing an Anaconda to do the same. Yet we are supposed to accept the ongoing suffocation of our freedom and free markets in the name of expediting a socialist agenda that is bankrupting our country? And give up more of our money — and our guns — to the new overlords? Like so many ivory tower leftists whose anti-American views hold sway in Washington, D.C., Seidman sees the Constitution as something to be shaken off — like a bad cold. Of course what he fails to recognize is that his prescription for constitutional emasculation would kill the very source of the federal government’s power and legitimacy. Absent the Constitution, there is no government — only anarchy. One cannot destroy our founding document without destroying the nation it created (or what’s left of it). And make no mistake — once freed from any real or implied constraint, government becomes the tyranny our Founding Fathers (and most present-day Americans) fear. In other words, it ceases to be America. Tags: the Constitution, Constitution, We the People, weakening constitution, endangering American Freedom To share or post to your site, click on "Post Link". Please mention / link to the ARRA News Service. Thanks! 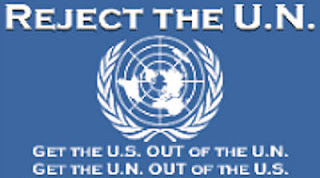 Dr. Bill Smith, Editor: As an retired Air Force officer with two tours in Air Force Strategic Missile Wings, the following article caught my attention. The topic addressed has been considered and revisited before. 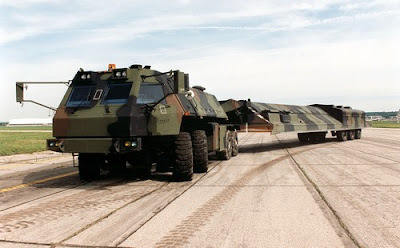 When the United States had overwhelming numbers of ICBMs with MIRV warheads and record numbers of aircraft capable of delivering nuclear bombs from varied locations, the attempting to hide ICBM missile on mobile transport was not considered a plausible necessity within the United States. Obvious with the severe draw down of nuclear weapons under the Obama administration and the rising numbers of antagonist countries with or close to having ICBM capability, a return to strategic mobile platforms may be needed. U.S. Air Force's 1980s-era “Midgetman” mobile missile launcher. By Bob Brewin, Global Security Newswire: WASHINGTON -- The Air Force has dusted off plans more than two decades old to place fixed nuclear missiles on rail cars or massive road vehicles to protect them from a surprise attack. The service also wants to explore alternatives to traditional missiles to carry nuclear warheads, which could include hypersonic aircraft capable of crossing the Atlantic Ocean in an hour, said Phillip Coyle of the Center for Arms Control and Nonproliferation, a former associate director for national security and international affairs in the Obama administration’s Office of Science and Technology Policy. On Monday, the Air Force Nuclear Weapons Center at Kirtland Air Force Base, N.M., kicked off a study on modernizing or replacing its current fleet of Minuteman 3 nuclear missiles housed in underground silos in Montana, North Dakota and Wyoming. The work includes potential upgrades to the command and control system. The center said it wants industry and academic help in analyzing the future of its Minuteman 3 nuclear missiles. The options include no upgrades, incremental fixes, new missiles stored in silos, and new mobile or tunnel-based systems. . . . In September 2011, the Center for Strategic and International Studies reported that China had developed a mobile missile system, the same month Russia indicated it planned to revive its rail car based missile program, which began in 1983 but was scrapped in 2006. Coyle said he was concerned that proliferation of mobile missile systems could lead to another arms race. “The Air Force will need to be careful that they don't stir up a hornets nest with proposals for mobile basing or advanced concepts other than the traditional booster and re-entry vehicle. The former could cause Russia or China to redouble their efforts on mobile basing of ICBMs, set off a new kind of arms race, and weaken U.S. defenses,” Coyle said. Global Security Newswire is a produced by the National Journal. Tags: ICBMs, Nuclear Weapons Programs, USAF, Unites States Air Force, National Security To share or post to your site, click on "Post Link". Please mention / link to the ARRA News Service. Thanks! by Warner Todd Huston: After a vote on January 8, Illinois is set to join only two other states, New Mexico and Washington, to allow illegal immigrants to apply for state drivers licenses. A third state, Utah, allows illegals to drive on temporary permits. The 65-46 vote where 11 Republicans, some in leadership positions, joined Democrats to extend legal licenses came after a long, heated debate (SB 957). Conservative activist William J. Kelly criticized the law. "This kind of legislation has spurred a serious fraud problem in New Mexico and other states where it has been enacted," Kelly wrote in the State Journal-Register. "Papers have been forged, auto repair shops have been regularly listed as places of residence, and more illegal driver’s licenses schemes have caused headaches for law enforcement as foreigners from other countries come to the state to fraudulently receive a U.S. driver’s license." Indeed, New Mexico's Governor has been fighting to repeal her state's licenses for illegals law. Safety concerns were foremost in mind of detractors of this bill. One of the biggest concerns was that fingerprinting is not included in the law. Supporters claimed that the bill would show Illinois to be a "welcoming" place for law-abiding illegal immigrants that just want to work and make a living. "Our entire state would benefit from Senate Bill 957. If only half the 250,000 get [temporary licenses] and get insured, Illinois insurance policy holders would save $46 million per year," said Rep. Edward Acevedo (D-Chicago) on January 7. "Police officers would be able to know who they're stopping." But at least one Illinois police chief disagreed with Rep. Acevedo. During the debate on the bill Hanover Park Police Chief David Webb told the House Transportation Vehicles & Safety Committee that there just weren't enough safety measures in the bill. "Without these basic public safety and homeland security safeguards, this bill is unsafe," Chief Webb said. Despite Rep. Acevedo's claim that more drivers will become insured with his law, the bill does not require proof of insurance before an illegal immigrant can get his license. Supporters say that such a requirement is unnecessary as the law already states that drivers have to be insured to drive in the Land of Lincoln. Further a provision in the law maintains that a police officer can confiscate the license if the illegal immigrant cannot produce proof of insurance on demand. Detractors also point out that number of insured drivers did not materially increase in Washington or Arizona after those states passed their drivers licenses for illegals bills. 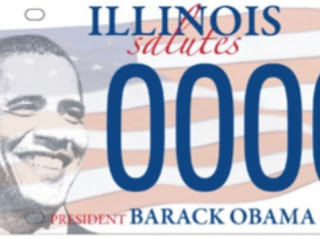 Tags: Illinois, drivers licenses, illegal aliens To share or post to your site, click on "Post Link". Please mention / link to the ARRA News Service. Thanks! Greater Fitchburg for Life reported on Planned Parenthood's record number of abortions and on the Cecil Richard's Group making a killing at taxpayers expense. Following are excerpts of comments by Gary Bauer, president of American Values and chairman of the Campaign for Working Families, and Tony Perkins, president of the Family Research Center.by Gary Bauer: 2011 was a good year for the abortionists at Planned Parenthood, and a bad year for American taxpayers and innocent babies in the womb. 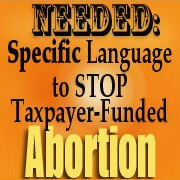 According to various reports, Planned Parenthood performed a record number of abortions -- nearly 334,000 in 2011. It also reported assets in excess of $1.2 billion, received a record $542 million in taxpayer funding -- 45% of its annual revenue -- and had more than $87 million in "excess revenue." That would be profits for a supposedly non-profit organization concerned about "women's health." by Tony Perkins: It's been 1,350 days since the Senate passed a budget, but the checks to Planned Parenthood keep flowing! While American companies suffer, business at Cecile Richards's group couldn't be better. According to the organization's latest annual report (FY 2011-12), it looks like the government helped Planned Parenthood to another record year. For the second time in as many years, Richards's "nonprofit" is celebrating more than a billion dollars in total revenue--and almost half of it came courtesy of U.S. taxpayers. America's abortion provider managed to squeeze $542.4 million out of federal, state, and local governments last year--a $55 million bump from 2010. And judging by its $155 million profit, the organization hardly needed the money! Still, Congress insists on being Planned Parenthood's biggest benefactor--even if it means borrowing millions from China to pay for it. The government chipped in the lion's share of Richards's budget (45%) last year, and then raised taxes on us to keep the killing machine afloat. That should outrage every American, regardless of how they feel about abortion. The President complains about tax breaks for millionaires--while he supports welfare for billionaire organizations! Fox News crunched the numbers and was shocked to find that government support for Planned Parenthood had jumped by 167% in the last 10 years alone. Of course, as more states aggressively step in to defund Planned Parenthood, the Left has been just as aggressive in filling the gap. They claim the money helps women, but based on this report, Planned Parenthood was too busy reelecting President Obama to help anyone! Cancer screenings (the theme of Richards's incessant election ads) dropped by a stunning 29% in 2011-12, and contraception services slumped 12%. Of course, the number of mammograms performed at Planned Parenthood stayed the same: zero. Tags: Gary Bauer, Campaign for Working Families, Planned Parenthood, 2012, record year, abortion, abortions, Tony Perkins, FRC, Family Research Council To share or post to your site, click on "Post Link". Please mention / link to the ARRA News Service. Thanks! White House Gun Summit A Sham! constitutionally protected individual freedoms.Fairfax, VA — Americans for Limited Government President Bill Wilson today issued the following statement on today’s White House gun summit:“Today’s White House gun summit is nothing more than a sham. Vice President Joe Biden’s vague threat issued in front of numerous anti-gun groups that Obama would bypass Congress and act using his ‘executive’ powers reveals that this Administration is not looking at violence, but rather at ways to impose even more restrictions on law-abiding Americans. “Absent the Constitution, there is no government – only anarchy. One cannot destroy our founding document without destroying the nation it created (or what’s left of it). And make no mistake – once freed from any real or implied constraint, government becomes the tyranny our Founding Fathers (and most present-day Americans) fear. “In light of this growing mindset on the left, if Obama chooses to pursue a constitutionally questionable direction, one can expect a chorus of praise from the same voices who depend upon the constitutional protection of their right to express that view. The missed irony is that if the Constitution is destroyed, everyone’s freedom is destroyed, not just the freedom of those who are currently fashionable to attack.”Americans for Limited Government is a non-partisan, nationwide network committed to advancing free market reforms, private property rights and core American liberties. Tags: White House, gun summit, a sham, Bill Wilson, Americans for Limited Government To share or post to your site, click on "Post Link". Please mention / link to the ARRA News Service. Thanks! NFRA: According to the FBI annual crime statistics, the number of murders committed annually with hammers and clubs far outnumbers the number of murders committed with a rifle. While the FBI makes is clear that some of the "murder by rifle" numbers could be adjusted up slightly, when you take into account murders with non-categorized types of guns, it does not change the fact that their annual reports consistently show more lives are taken each year with these blunt objects than are taken with Feinstein's dreaded rifle. The bottom line: A rifle ban is as illogical as it is unconstitutional. 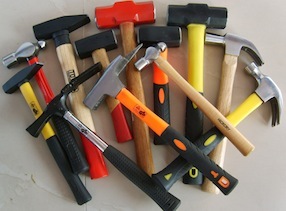 We face far greater danger from individuals armed with carpenters' tools and a caveman's stick. National Federation of Republican Assemblies (NFRA) Note: We reprinted the full text of "FBI: More People Killed with Hammers, Clubs, Each Year than Rifles" by Awr Hawkins from Breitbart.com. Readers encouraged to visit the original. Tags: killed, murder, hammers, clubs, Crime, Gun Control, Gun rights, Self defense, Violence, NFRA, National Federation of Republican Assemblies To share or post to your site, click on "Post Link". Please mention / link to the ARRA News Service. Thanks! “The December jobs report is a testament to the resilience of the American people, who continue a slow march to recovery hindered by the Obama administrations’ higher taxation and increasing regulation. Devastatingly, more than 4.8 million Americans have been without work for longer than 27 weeks and more than 12 million are unemployed. With this dismal pace of job creation the Great Recession jobs gap will not close until 2025. Tags: AFP, Americans For Prosperity, December Jobs Report, unemployment To share or post to your site, click on "Post Link". Please mention / link to the ARRA News Service. Thanks! Who Is Really for Election Reform? by Phyllis Schlafly, Eagle Forum: A top priority of Democrats nationwide is to try to expand early voting even beyond the more than 40-plus million votes that were cast on days other than Election Day in 2012 or by mail. The present system balkanizes and deprives our nation of the unifying value of one Nation on Election Day. On the first day of the new Congress, the House Democrats showed what they think is really important by pushing (fortunately, unsuccessfully) for a new federal law that would require 10 hours a day of early voting for 15 days before any federal election. The bill also would have invented a new voting “right” that no one has to stand in line more than one hour. Republicans think the goal of voting reform should be honest elections, not convenience, plus maintenance of safeguards against voter fraud and coercion of voters. Republicans want to make sure that only U.S. citizens can vote, that Voter-ID is used in every state, and that ballots from our armed forces abroad are really counted. Early voting bypasses many safeguards for voting integrity such as having Poll Watchers from both political parties to monitor everything going on to deter polling-place monkey business. It’s expensive and nearly impossible to secure Poll Watchers for the many days of early voting that were allowed in Ohio (35 days) and other swing states. Early voting is a liberal gimmick that disenfranchises Election Day voters by determining the outcome before Election Day and, contrary to liberal propaganda, early voting decreases overall voter turnout. Early voting increased substantially in Ohio in 2012, but overall turnout decreased significantly. Early voting violates federal law, which for more than a century has required national elections to occur on the same day. Early voting adds heavy costs to the taxpayers and to the candidates because it significantly lengthens the campaign. Early voting is unfair because it prevents voters from changing their minds up until Election Day. Early voting encourages uninformed voting because many voted before the presidential debates were held. Early voting makes campaigns more expensive; it lengthens the time period for advertising. It harms third-party candidates who lack a political organization to get out early voters. Early voting is a misnomer. More precise names would be premature voting, uninformed voting, or political machine voting. What if jurors were allowed to decide they are tired of a lengthy trial and want to vote to convict a defendant midway through the trial and go home? Isn’t it just as important for voters to hear all the facts about candidates before voting? 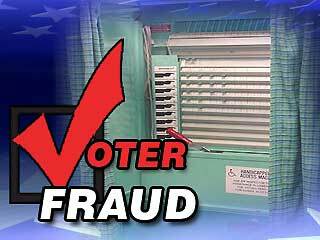 Absentee voting provides another big opportunity for election fraud because it deprives many voters of our precious secret ballot. Here is one way that absentee voting works. An Arkansas state legislator, Rep. Hudson Hallum, bribed voters with money and food to cast their absentee ballots for him, obtained and distributed ballots to those voters, and then collected them in unsealed envelopes. If the ballots were marked for Hallum’s opponent, Hallum pitched them. Hallum pled guilty to election fraud. Obama’s margin of victory was only a few hundred thousand votes in the four swing states of Florida, Ohio, Virginia and New Hampshire. That was far less than the number of mailed-in ballots cast. Another easy way this racket works is to take absentee ballots to nursing homes and assisted-living institutions. The campaign worker “helps” the physically or mentally disabled senior citizens choose for whom they want to vote, marks the ballot, and then turns it in. The Democrats’ party line is that voter fraud is a myth, but that illusion was dispelled by another stunning case of fraud by a prominent incumbent. The son and field director of U.S. Rep. Jim Moran, who has been in office for 22 years representing Virginia’s Washington suburbs, was filmed by videographer James O’Keefe advising an undercover reporter how to bypass Virginia’s Voter-ID law. The method was exquisitely ingenious: it called for creating fake utility bills on the internet to substitute for Voter-ID. 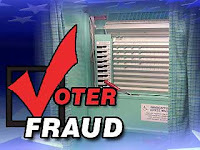 Tags: Election Reform, Democrats, Republicans, election fraud, absentee ballots, early voting, Voter-id, voter identification, Eagle Forum, Phyllis Schlafly To share or post to your site, click on "Post Link". Please mention / link to the ARRA News Service. Thanks! 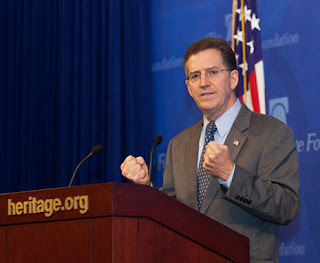 by Katie Nielsen, Heritage Foundation: Being a conservative, Sen. Jim DeMint says, means preserving the ideas and principles that work. But being conservative doesn’t mean you can’t change and modernize to keep up with the times, he says. Rather, it means identifying and recognizing the policies that make life better and the country stronger, and preserving them and integrating them into new models as things change. It’s the principles behind the policies that work that are timeless. In an interview for the forthcoming Heritage Members News, The Heritage Foundation’s president-elect said he believes Heritage is integral in preserving these timeless principles. Through our research, we have demonstrated that these policies have worked in the past and can work in the future. The challenge, however, is that conservative ideas aren’t always well-marketed. The perception of conservative ideas diverges from their reality, says DeMint, who starts in April as Heritage’s president. This is a familiar problem for DeMint, who worked as a marketer before running for Congress. In marketing, facts don’t really matter to the consumer. What matters is what they perceive: perception is reality in this case, not truth. "The other side, through fabrications and fantasies, has convinced a lot of Americans that policies that hurt them are really good for them. We as The Heritage Foundation have got to use our research and analytical capabilities to better understand perceptions that Americans have toward conservatism, so that we can figure out how to convince them that our ideas will make their lives better. We need to focus on 100 percent of Americans. It’s ironic to me that the people our policies help the most, such as the poor and minorities, are least likely to support our ideas. We’ve got a big job ahead of us– convincing these groups that our ideas work– and we are going to be ready to lead. "Heritage’s role, DeMint argues, is to enlighten the American people by proving the failure of liberal ideas and the enduring strength of the conservative alternatives. Tags: Heritage Foundation, Jim DeMint, conservative, conservatism, first principles, video, INSERT TAGS To share or post to your site, click on "Post Link". Please mention / link to the ARRA News Service. Thanks! The purpose of the study was to “describe general water quality and geochemistry of shallow groundwater in the Fayetteville Shale gas-production area in north-central Arkansas and evaluate the potential effects, if any, from activities related to shale-gas drilling and production.” This yearlong study examined the water quality of 127 shallow domestic wells in the Fayetteville Shale play. Two of the study’s authors are hydrologists with the USGS; the remaining authors are researchers at Duke University. The report was prepared in cooperation with the Arkansas Natural Resources Commission, Arkansas Oil and Gas Commission, Duke University, Faulkner County, Shirley Community Development Corporation, and the University of Arkansas at Fayetteville, and the USGS Groundwater Resources Program. Read more about the report here. The Fayetteville Shale play spans approximately 4,000 square miles and is one of the most productive shale plays in the country. It is estimated that the Fayetteville Shale contains up to 20 trillion cubic feet of natural gas. According to the University of Arkansas, the average annual pay in the oil and gas extraction industry in Arkansas was $74,555 in 2010, twice the average pay of all industries in the state. Further, the Fayetteville Shale play supports over 20,000 jobs and has added $12 billion to Arkansas’s economy since 2008. 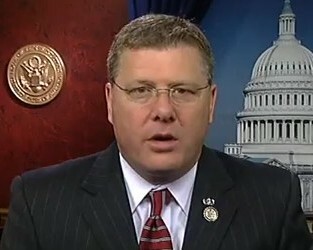 Congressman Tim Griffin was re-elected as the representative of Arkansas’s Second Congressional District. For the 113th Congress, he is a member of the House Committee on Ways and Means while also serving as an Assistant Whip for the majority. Tags: USGS, Natural Gas Report, Inconvenient Truth, Fracking, Rep Tim Griffin To share or post to your site, click on "Post Link". Please mention / link to the ARRA News Service. Thanks! by Ralph Benko, Contributing Author: Washington, quietly, is re-orientating. To be sure it still is sorting out what caused the financial crisis, the Great Recession, and the disorders that have ensued (from the application of bad medicine like bailouts and stimulus). But there’s just occurred a dramatic changing of the guard in the GOP and in the leadership of its intelligentsia. The Republican Party appears ready to put behind it the snakebit political era of the 2012 presidential cycle and the 111th and 112th Congress’s fixation on fruitless answers to problems besetting job creation and deficit reduction. Approaches attempted in the past four years by well-intended Supercommittees, Gangs of Six, Hyphenated Commissions, the presidentially ambitious, and partisan bloggers are, obviously, except to the most stubbornly dogmatic politicos (such as President Obama), thoroughly discredited. To paraphrase The Angels: “Hey la, hey la, Supply Side’s back.” Outgoing Cato chief Ed Crane and the Brothers Koch together recruited John Allison as new president of the Cato Institute. And “he’s kinda big and he’s awful strong.” Allison is no ordinary public intellectual. He built a small regional bank, BB&T, into a triple-digit-billion dollar national titan — and without unjustly enriching himself. Last year, Allison telegraphed his message in The Financial Crisis and the Free Market Cure: How Destructive Banking Reform is Killing the Economy. As Allison is no ordinary public intellectual this is no ordinary book. It is a reform blueprint with deep integrity. The twelfth of ur-Tea Partier Saul Alinsky’s Rules teaches: “The price of a successful attack is a constructive alternative.” Allison’s constructive alternative has unimpeachable credibility. He authoritatively provides the policy community this crucial missing piece. At least 10 federal agencies will be tasked with ensuring compliance with roughly 300 new rules created by Dodd-Frank, says the Congressional Research Service. Several new agencies were created. One of them, the Consumer Financial Protection Bureau (CFPB), opened its doors recently. The head of the CFPB will be appointed for a five-year term. Once confirmed by the House and Senate, he or she will have free rein to spend $500 million without interference from Congress, since the CFPB is funded by the Federal Reserve, rather than congressional appropriations. Dodd-Frank is Washington nakedly asserting power over a key sector of the American economy. No good can come of this. Dodd-Frank is vague, burdensome, of no protective value, and anti-growth. Yet for all of that it is insufficient merely to rail against it. America needs a constructive alternative. Enter Allison. Allison divides the causes of the financial sector’s meltdown into three parts: the Fed as primary cause, the FDIC as the background cause; and government housing policy as the proximate cause. The 2012 presidential election now is behind us. In retrospect it feels as if the GOP had a nervous breakdown. Its presidential candidates peripatetically alighted, weirdly and ineffectually, on such issues as vaccine scaremongering, secession, repealing the direct election of Senators, unspecified spending cuts, hinted disapproval of connubial acts between husbands and wives, even moon colonies. The Republicans finally settled on a candidate who campaigned on the pathetically insufficient quality of non-Obamaness. All this disappointed voters keen for recipes for economic growth, good job creation, and a champion for their constitutional rights and values. In the campaign many of the presidential aspirants touched, if insufficiently, on the importance of reforming American monetary policy. The call for monetary reform developed so much momentum that the party placed a plank calling for a monetary commission in its national platform. This resonated. It continues to do so. Each of the presidential aspirants, when touching on monetary reform experienced some electoral loft. National polling by Scott Rasmussen and regional polling undertaken by the American Principles Project (with which this columnist professionally is engaged) showed gold standard advocacy extraordinarily popular. The GOP’s nervous breakdown recedes into the past. A new, solid, generation of Republican leaders is taking the field. The new GOP leadership actively seeks to replicate the hot growth exemplified by Reagan and Clinton. That job growth came from policies — most notably lower marginal tax rates and good monetary policy — associated with one Rep. Jack Kemp. The Washington Post fixates on the party’s institutional leadership — its Generals such as John Boehner and Mitch McConnell. Just beneath that surface, the House GOP has invested its operational policy leadership — its committee chairmanships — in a rising generation of principled free market Supply Siders. In the House these GOP “Colonels” — the ones setting the agenda — include the new JEC Chairman (and prime sponsor of the Sound Dollar Act) Kevin Brady, House Financial Services Committee Chairman (noted foe of Dodd-Frank and champion of good monetary policy) Jeb Hensarling, and exceptionally respected rank-and-file Members such as Jim Jordan. In the Senate, Marco Rubio widely, and for good reason, is considered the most likely next Republican presidential nominee. Tea Party Ted Cruz, dubbed by Mother Jones as the “Republican Party’s Barack Obama,” is proving a media magnet. These, plus the Senate’s number two Republican, John Cornyn, all have signed on to serious monetary reform. A major lesson of 2012 is dawning on the new GOP A-team: the centrality of an economic growth (and constitutional rights) message and the excitement it produces among voters — conservatives, libertarians, tea partiers and independents. Monetary reform, as anchored in the party platform, is the most obvious place to look to get the economy growing well again. Bonus: monetary reform is an uncontaminated issue where Democrats, whether Blue Dog or Progressive, can, without violating principle, participate as equals. Monetary reform is coming to the fore among the base and from public intellectuals such as the American Principles Project and the Lehrman Institute (both of which this columnist professionally is associated), Atlas Economic Research Foundation’s Judith Shelton, Reagan counselor and attorney general Edwin Meese’s influential Conservative Action Project (which recently called for the formation of a national monetary commission as one of its major Congressional priorities for the 113th Congress), and other figures such as Forbes.com’s own John Tamny and the New York Sun’s Seth Lipsky. Cato Institute, led by John Allison, is certain to be at the forefront. The new GOP leadership team has a new generation of thought leaders formulating up-to-date prescriptions for doubling the growth rate from 2% to 4%, the prescription upon which both job growth and deficit reduction depend. John Allison’s The Financial Crisis and the Free Market Cure: How Destructive Banking Reform is Killing the Economy is an excellent resource to advance the renewal of equitable prosperity. Tags: Ralph Benko, Supply Side, GOP A-team, A-Team, conservative organization, conservatives To share or post to your site, click on "Post Link". Please mention / link to the ARRA News Service. Thanks! Does Everyone Have the Right to Experience Life? Dr. Bill Smith, Editor: We get so focused on the politics of the day, the news cycle filled with tragedy and mayhem, and the rapid pace of time and circumstances, that we often forget to look at the important questions like, Is There a God. Yes, I know that some have settled this question in their lives with a negative. But most of us are still asking, hoping, or have found an answer. However, this is not the question in the question being asked today. Let’s talk about life. Let’s talk about these mornings when you feel like you’re the only person awake in the entire world. Let’s talk about the sound of a clear voice singing. Let’s talk about about the red color you get on your cheeks after being out on a cold winter day. Let’s talk about the sun warming your back at the beach. Let’s talk about the first cry of a baby. Life is truly beautiful. It’s not always obvious or expected, but you can find the beauty of life in everything if you look for it. I love life and constantly search for these small beautiful things. I believe a lot of other people do that as well. Every time I find them, I feel blessed and rewarded. I think there are very few people on this planet that wish they were never born, and if they did try to look for the beautiful things in life, they probably wouldn’t regret being born. Life on this planet is a privilege, but that privilege is a privilege to everyone. It’s not up to anyone else to dictate whether or not it’s yours. I’m not saying this out of religious aspects, believe it or not, but it comes straight from my heart. . . .
Hope Carol's comments now have your attention. Please click to read her complete response to today's question. Tags: question, life, experiencing life, right to experience life, Does everyone have the right to Experiences life, To share or post to your site, click on "Post Link". Please mention / link to the ARRA News Service. Thanks! 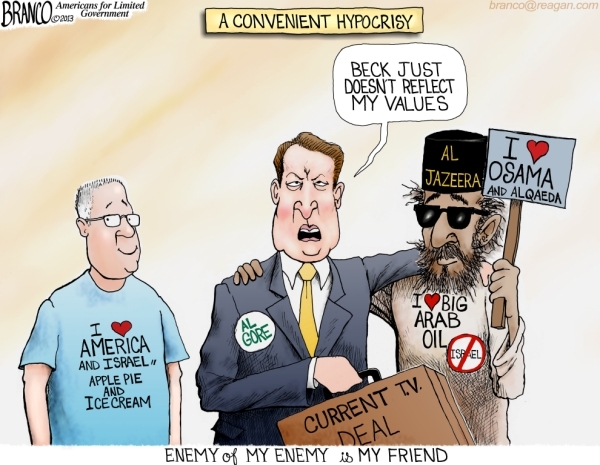 Tags: Al Gorzerra, Al Gore, Al Jessera, Glen Beck, TV deal, a convenient hypocrisy, Arab oil, hate Israel, Enemy of my enemy is my friend, editorial cartoon, AF Branco To share or post to your site, click on "Post Link". Please mention / link to the ARRA News Service. Thanks! Editor: In the past, we have shared numerous articles on tax increases that would affect the lives of Americans. Well the taxman cometh! We have passed the date for implementation - January 1, 2013. Below is a Heritage Foundation based article via one of its blogs, the Morning Bell. Editorial Notes Added in [ ]. Curtis Dubay, Morning Bell: New Year’s Day was tough for taxpayers. Thirteen tax increases kicked in. The deal that Congress and President Obama struck that finally — but only partially — avoided the fiscal cliff resulted in seven tax increases. 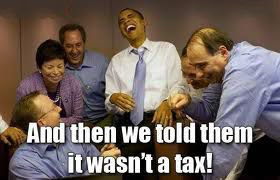 Tags: Barack Obama, businesses, capital gains, death tax, deductions, dividends, economy, estate tax, excise tax, fiscal cliff, income tax, investment, investment income, jobs, marginal tax rate, medical device tax, Medicare Part D, Morning Bell, Obamacare, payroll tax, social security, tax hikes, tax increases, Tax Rates, taxes, taxpayers, Wall Street Journal, workers To share or post to your site, click on "Post Link". Please mention / link to the ARRA News Service. Thanks! by Tony Perkins, FRC Washington Update: It was supposed to be a deal that neither party liked. But the bill that hiked taxes on 77.1% of American homes has one fan: President Obama. By passing last week's fiscal cliff band aid, he managed to foist the country's problems onto taxpayers without agreeing to a single cent of spending cuts -- which, it turns out, he never cared about anyway. That was the biggest surprise of negotiating, Speaker John Boehner (R-Ohio) explained to the Wall Street Journal's Stephen Moore. For all of his public statements ("spending cuts must be balanced with [tax] reforms"), privately, the President doesn't mind the four straight years of trillion dollar deficits. "At one point several weeks ago," Boehner told Moore, "the President said to me, 'We don't have a spending problem.'" Once he got over his shock, the House Speaker fired back, "'But Mr. President, we have a very serious spending problem.' He repeated this message so often, he says, that toward the end of the negotiations, the President became irritated and said: 'I'm getting tired of hearing you say that.'" Well, "tired" doesn't begin to describe how the American people feel after four years of unprecedented government bloat. The President is right. We don't have a spending problem -- we have a spending emergency. Taxpayers are on the hook for another $5,000,000,000,000 under this administration's first term alone. How many more zeroes will it take before the White House admits the obvious? Washington's spending addiction is so out of control that Congress couldn't pass a fiscal cliff bill without adding $70 billion in new earmarks and tax loopholes. Even the Senate wouldn't help Sandy victims without helping themselves to millions in new pork for everything from fisheries to forestry. And entitlement spending (on programs like Medicare, Medicaid, and Social Security) is so exorbitant that the new deal had to raise taxes on every worker's salary to pay for it! Now, Democrats say the fiscal cliff is just the tip of the taxing iceberg. 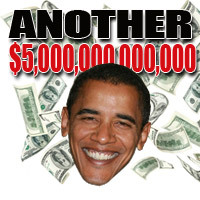 According to The Hill, the President's party is pushing for another trillion in "new revenue" before the year is out. Tough luck, says Senate Minority Leader Mitch McConnell (R-Ky.). As far as Republicans are concerned, they've compromised enough. "The tax issue is finished. Over. Completed," he said. With America bumping up against its credit limit, it's time to stop bleeding taxpayers dry and put meaningful spending reform on the table--something President Obama insists he's already done. "He's now claiming he already cut $1 trillion in 2011, largely by 'cutting' spending no one ever planned to spend," Jonah Goldberg explains. "So if I plan to build an orbital Death Star for $10 trillion and then think better of it, I've cut $10 trillion according to Mr. Obama's math." Based on the last four years, America will have to look beyond the President's "math" to find its way out of this mess. In the meantime, I think we could find plenty of sponsors for a congressional chapter of Spenders Anonymous. Tags: Tony Perkins, FRC, Family Research Council, spending emergency, federal government To share or post to your site, click on "Post Link". Please mention / link to the ARRA News Service. Thanks!